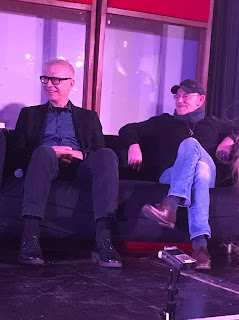 Tony Visconti looked up at me as I approached the table behind which he was sitting with a welcoming expression, and what appeared at least to be a genuine willingness to engage me in conversation and an eagerness to be helpful in answering any questions I might have had for him. This by itself was much to be admired. I had been more or less at the back of a long queue which for an hour and a half had inched laboriously forward, as one by one attendees of what had been a fascinating talk by Visconti and Woody Woodmansey about the making of the album The Man Who Sold The World patiently awaited their turn to exchange a few words, shake hands and, for the lucky (or precocious) ones, have their photographs taken with two legends from the music scene of the 1970s and beyond. By the time I appeared in his line of vision he could have been forgiven for emitting a weary sigh, blindly scribbling something illegible across the inside cover of the paperback which I had handed him and sending me on my way. Instead, he seemed happy to talk. 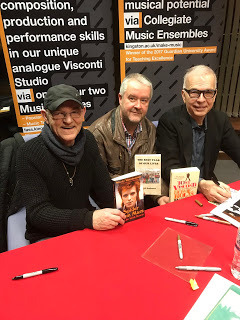 He obligingly signed the copy of his autobiography that I handed him, as well as the foreword to Woody's My Life With Bowie, which he had also written and, along with Woody, a copy of my own humble literary effort The Best Year Of Our Lives. 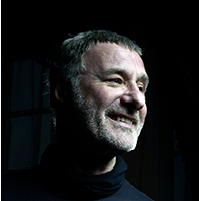 I admitted to him that the concept of record production was essentially alien to me, that my engagement with music began and ended with listening to the finished product and enjoying the sound with very little knowledge of the processes involved in preparing it for the listener. He softly, and encouragingly opined that having heard the presentation I would perhaps listen to it henceforth in a more discerning way. He was right, of course, but the presentation was only the beginning of that experience. It wasn't until I actually read the book which I had handed him to sign that I became fully cognisant of the role of the person behind the scenes who marshalled the musicians in the studio, put their various efforts together, listened to their output with a critical ear, made the technical changes and improvisations that were necessary, massaged the egos and perfected the chemistry between them. The producer is the conductor of the orchestra in private session, and yet much more besides. And as the 1970s progressed, Tony Visconti became the go-to guy for a whole bevy of very big names in the world of rock and pop, as well as some less well-known acts who were also fortunate enough to be able to draw upon his services. 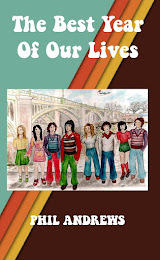 In fact, the acts he has produced read like a Who's Who of the seventies and eighties (I wouldn't recognise any names from beyond those decades even if they were bigger than Elvis). The promotional spiel on the back cover includes a quote from Q magazine, viz. 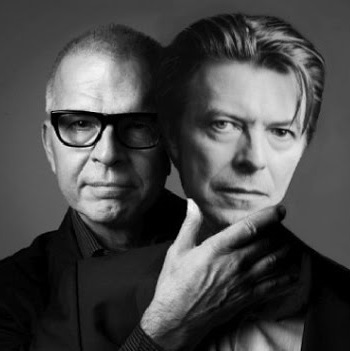 "Just as George Martin was the definitive '60s producer, so Tony Visconti's work with David Bowie and Marc Bolan shaped rock's landscape in the '70s." 'Nuff said. And yet the producer when all is said and done remains the guy who works privately in the background, at least to those of us on the outside. Nobody I went to school with had posters of record producers pinned up on their bedroom walls. Reading his account I sense that there is a part of Visconti that would have liked to have been up there on the stage, enjoying the life and the adulation that came with being a guitar hero or a frontman (although he happily volunteers that he is not the latter), and indeed anyone who has watched him performing live with Holy Holy will confirm that he fits the role rather well. But, alas, his enormous talents beyond the stage condemned him to be "only" one of the very most successful music producers in the history of the medium. 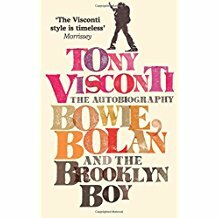 Tony Visconti's autobiography chronicles the career of a man who made some of the best music of my time happen - the logistics, the obstacles to be surmounted, the relationships and the dynamics of bringing fragile egos together to create soundtracks which would define the lives of millions. Having read his book I feel that at last I understand some of the processes which come together in the studio when a brand new sound is created for the edification of the record-buying public (as was). It seems those vinyls didn't just happen after all. They were not, as my one and only attempt at recording a single was, manufactured on the spot in a tiny booth on the concourse at Waterloo station. A lot of thinking, a lot of hard work, sometimes a lot of conflict and not a little angst, went into them before they reached us. Having read, and listened to, Tony Visconti I know that now. What he also gives us in his memoir, and what is equally valuable to old collectors like myself (though in my case not conspicuously funky-thighed), is a fascinating insight into his working relationships with two of the men who for me provided the cultural backdrop for the 1970s. Visconti is tactful yet informative in equal measure when he describes some of the difficulties he encountered in his dealings with Bolan and contrasts them with the smoother working relationship that he enjoyed with Bowie, who famously would allow and even encourage those around him to express themselves and then absorb their ideas and contributions into a cohesive whole, of which he would then take ownership. It is a mark of the genius of the latter that he mastered this art, and that he believed sufficiently in himself not to feel threatened by the creativity of his many high-profile collaborators. I'm glad I bought this book, and I am more glad still that I managed to get the opportunity to speak a few words with a great man who made so much happen in that formative, unique and special period of my life. I played the records - I never heard his voice nor for some time even his name, but I heard his work and it defined a beautiful era with precision and perfection. I would have loved to have chatted with him for much longer - for hours and hours in fact - but I doubt very much whether the feeling was mutual. It was a long queue, and a long night, so I will just say thank you for the music. Classic write-up Phil as always. Ever thought of writing lyrics, you'd be great at it.